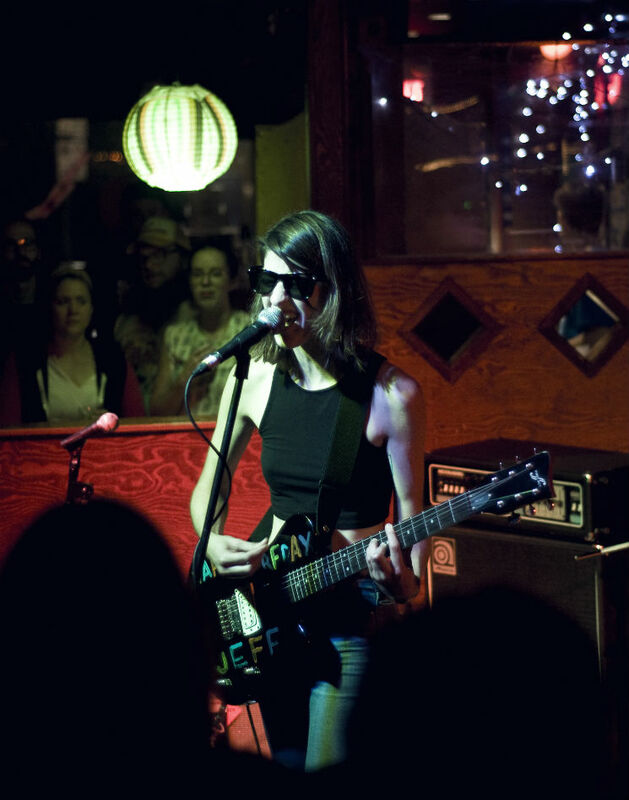 Colleen Green plays catchy three-chord guitar pop, singing songs about vices, growing up, boys and millennial malaise backed by a drum machine, and she makes it look cool. She opted to try playing with programmed parts from an iPad for her Sled Island set; the crowd, she said, would be the second to hear it that way. Apart from a few songs having extra accompaniment such as backing vocals and guitar parts, it was strictly kept to just a drum machine, programmed bass, Colleen Green and her guitar. It was jarring to hear tracks from her latest album, I Want to Grow Up, as "bass and drum machine" music, especially considering those previously fleshed-out songs were the ones the audience were familiar with, but she still managed to excel for her hour-long set on the power of her melodies and charm. Here's hoping that next time a band makes the trek with her.